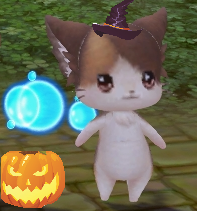 Halloween is here soon and two GMs would like to decorate their profile, but for that they need you! Your task will be to create a beautiful avatar + signature set for your GMs. Prefer a signature not too high and wide enough (with a dimension of 700/750 by 130/150 for example). For the avatar, a minimum size of 128 by 128 and a maximum size of 100kB. 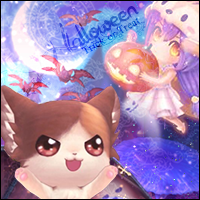 ☆You must respect the main theme that is: Halloween. ☆You will have to choose the GM for which you want to create the set, you can not choose more than one. ☆A single set will be chosen by each GM, so there will be 2 different winners. ☆The signature set + avatar must respect the TOS and any participation with no effort will be disqualified. 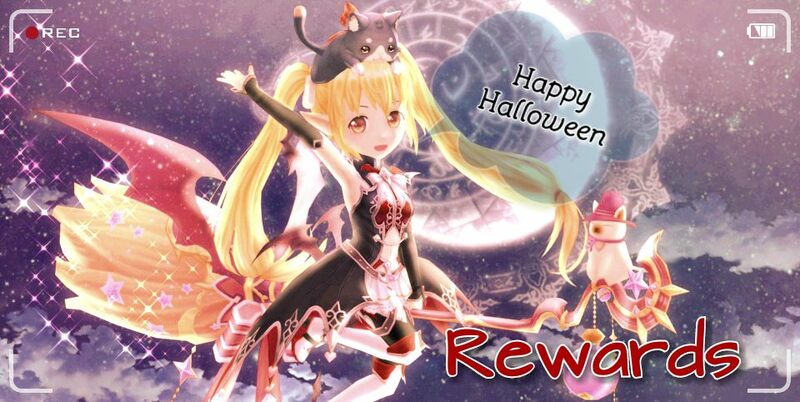 ☆ Since this event is exactly the same as the other community event, you will not receive credit and will be disqualified if you are found in both community GM Halloween Signature Events! <GM>Furval: I love cute creatures and animals. I'd love to have a Furval featured on my signature! I like "cool" colors (blue, purple, green and such). 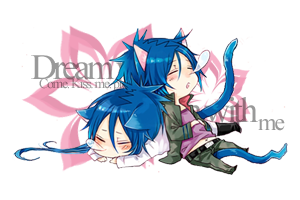 <GM> Kuroneko: I love cool looking guys with cat ears. I'd love to have a cat guy featured on my signature with vibrant colors and my IGN included. Each winner will receive 2 Senshi contracts of their choice (except Shirley, Gogo and Claire). Each participant will receive four 5-star evolution scrolls (bound). The post was edited 1 time, last by taki ( Oct 22nd 2018 ). The post was edited 2 times, last by Moonhazel ( Nov 3rd 2018 ). I apologize for the long wait; I had to deal with personal matters. Thank you for waiting patiently! Great work everyone, it was nice seeing the cute signatures that you have created for us! Remember, all participants will receive four 5-star evolution scrolls (bound) and an entry to the raffle! Your rewards have now been sent,please check your cart for your prize!